Lizard and rattlesnake (the diamond-chain pattern at top) paintings at Vasquez Rocks. "Lizards and frogs ... crawl in and out of rocks through cracks or jump in and out of water, respectively, and this is analogous to a shaman's entry into the supernatural by metaphorically entering either a rock or a spring. These animals, therefore, were believed to be messengers between the mundane (i.e., "real" —Ed.) and supernatural worlds, and they were metaphors for the shaman's own ability to move back and forth between the mundane and the sacred realms. 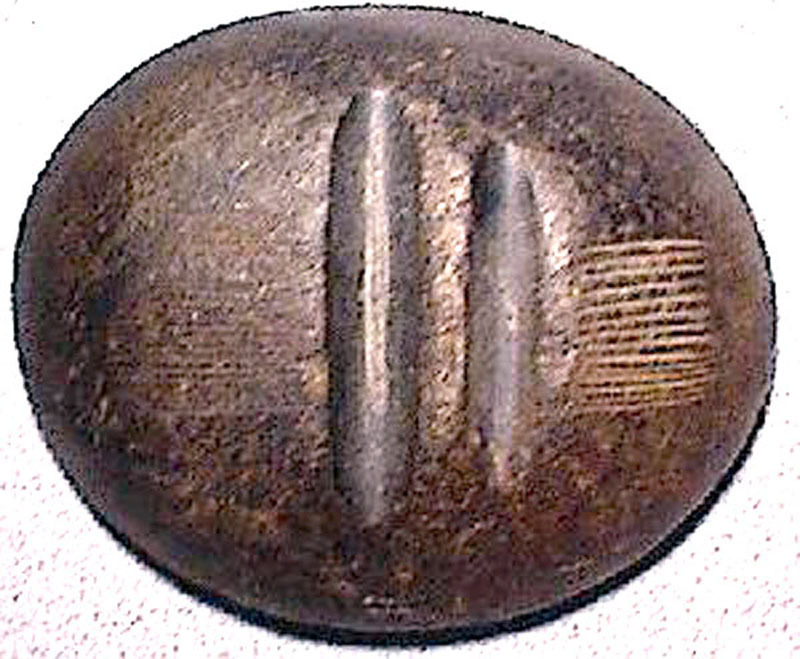 They might be portrayed on rocks to signal the locale as a portal to the supernatural." Rattlesnakes were guardians of the supernatural world; they were usually depicted as zig-zags or, as in this instance, a diamond chain. 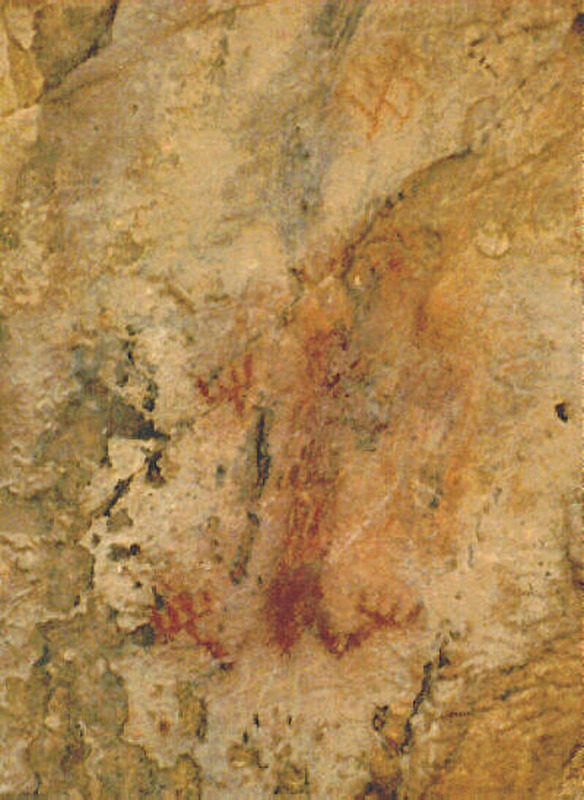 This rattlesnake painting could have been created by a shaman or it might have resulted from a girl's puberty rite; see the discussion here.